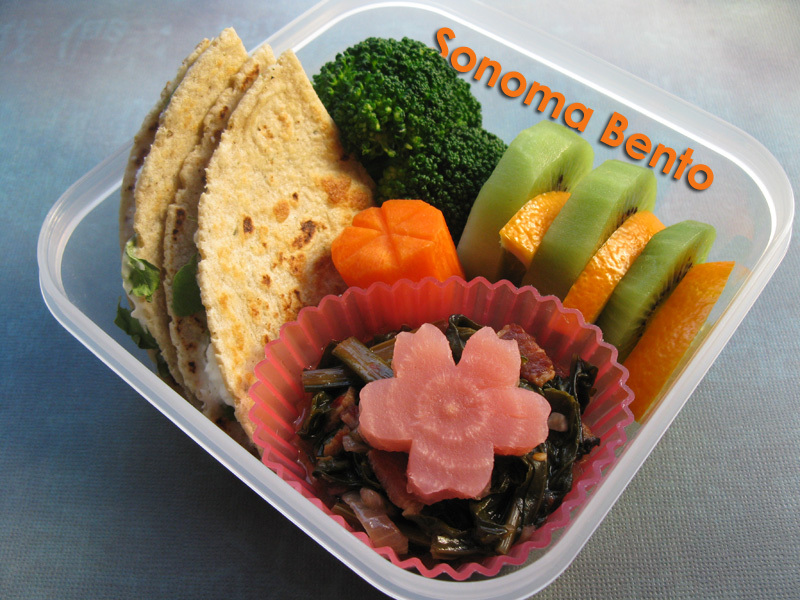 Today's bento features delicious beets from the Redwood Empire Farmers Market. I roasted the beets in the oven, and also used the beet greens in a delicious saute. In this bento: goat cheese quesadillas made with Tortilla Factory Green Chile hand-made style tortilla, french feta cheese, roasted garlic, and wild arugula from Triple T Ranch, lightly steamed broccoli from Triple T Ranch, a carrot, slices of kiwi and orange, and sauteed beet greens with a slice of roasted beet on top. Another view of my tasty bento. Yum! I love beets :) I love all of the different colors in this one too. Awesome box BTW! Thanks so much Heather! 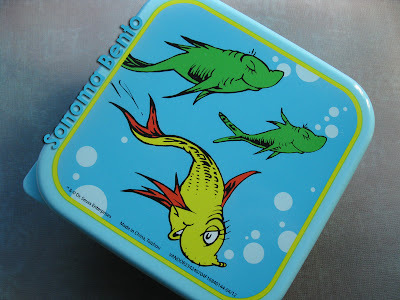 I was so excited to find this (and a few other) Dr. Seuss boxes. 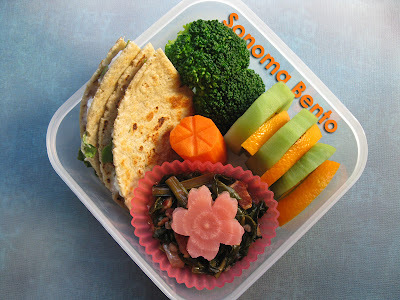 It was a beautiful and tasty lunch! Thanks Sheri! Beets from the farmers market are the best! Most glamorous beet ever! SO pretty. Thanks Jenn! I love the pale color of this one.